For a long time, FICO was the only type of credit scoring model available to lenders. In fact, Fair Isaac and Company began offering their system to a handful of lenders in the late 1950s and branched out more widely for general use by the late 1980s. 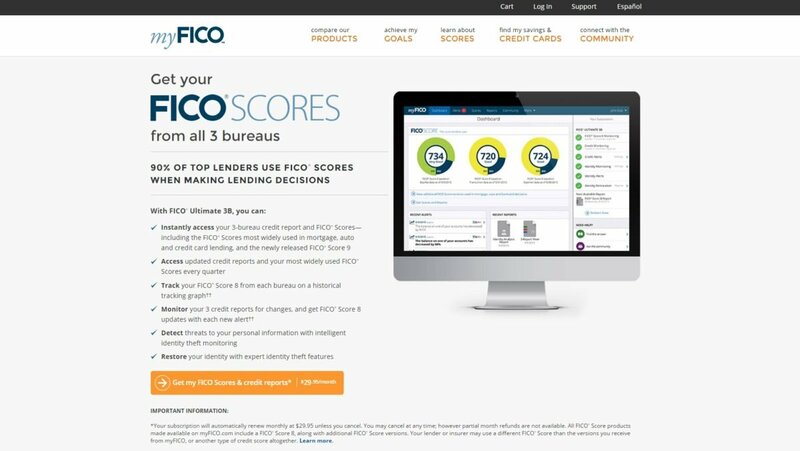 Because FICO scores were the only scores used by lenders for quite some time, any other type of score marketed to consumers was deemed a “FAKO” score. While other credit companies are trying to compete with the almighty FICO, the fact is that most lenders do use the oldest credit scoring model when determining your creditworthiness. Still, FAKO scores can still be educational and add value when you’re working on improving your credit score. Whether you have specific financial goals in mind or simply want to increase your score for the future, it’s important to know how credit scores are determined. You also want to know which ones are the most accurate when monitoring that important number. 1 What is a FICO score? 2 What other scoring models are used for my credit? 3 So, which credit scores are FAKOs? 4 How do I know which credit score my lender will use? 5 How do I know if my credit score is good enough for a loan? 6 How can I get my FICO score? FICO scores, just like any other type of credit score, use a complex calculation to weigh the information on your credit report. The outcome is a number that tells lenders how creditworthy you are based on your credit history. The classic scoring model rates consumers from low to high on a scale of 300 to 850. Weighted categories include your payment history, amount of debt, length of credit, credit mix, and new credit. When most people think of credit scores, the classic FICO model is usually what comes to mind. However, as the company has grown over the years, FICO has begun to offer even more scoring options. There are now over 50 different types of credit scores that lenders can request just through FICO alone. Depending on what type of loan you’re applying for, lenders can get FICO scores that are specific to mortgages, vehicles, credit cards, and more. Each scoring model weighs your information differently to determine how likely you are to repay your debt specific to the type of loan you’re requesting. What other scoring models are used for my credit? While FICO was the country’s first credit scoring model — and for a long time, the only one — several companies have since created similar calculations to determine consumers’ credit scores and compete in this space. VantageScore is actually a creation of the three credit bureaus: Equifax, Experian, and TransUnion. It used to have a different scale, but in 2013 it switched its rating system to have the same range as FICO scores. This helps consumers easily compare their credit scores between the two different scoring models. Most of the categories of information used by VantageScore are the same as FICO’s, but they are weighted a little differently. For example, VantageScore weighs payment history as 40% of your score, compared to FICO’s 35%. It also breaks down the way you use your credit a little more specifically than FICO does. One of the reasons behind VantageScore’s increasing popularity is that you can access it for free through several credit report websites. It is also used by more than 1300 lenders throughout the country, so your score can sometimes give you a good baseline of what your lender will see if they request your VantageScore. VantageScore also claims that many major financial institutions, credit card companies, and auto lenders use that scoring model in some form or fashion in their business lines. Other companies also offer credit scores, although FICO currently remains the most popular, even compared to VantageScore. So, which credit scores are FAKOs? Most people consider anything that’s not a FICO score to be a FAKO because 90% of lenders use FICO when evaluating loan and credit card applications. In total, there are close to 80 different scoring models that lenders can use to assess your credit. Not only that, many websites that offer free “educational” credit scores don’t use the same exact algorithm as any of the scoring models used by lenders. All of these are typically considered FAKOs because of the likelihood that they’ll give you the same number that your lender uses is very slim. While FAKOs can offer helpful guidance in finding out what general range your credit score is in, you might be surprised (and potentially disappointed) when you apply for a loan and your score is lower than you anticipated. How do I know which credit score my lender will use? It’s impossible to know which score your lender will use unless you specifically ask. Even then, with FICO offering dozens of different scoring models, you might not know which specific one your lender plans to look at. Making it even more difficult is the fact that once a specific scoring model is selected, you still have three separate credit scores — one for each credit union. So, for example, if your lender pulls a classic FICO score, they’ll receive three individual scores from Experian, Equifax, and TransUnion. If your three scores are 640, 660, and 670, the lender will use 660 — the middle score. If your scores are 720, 740 and 740, the lender will use 740 — the score that occurs twice. If you’re applying for a loan (such as a mortgage) with a spouse, the lender uses the same method, but only considers the lower borrower’s numbers. You’re only as strong as your weakest link when applying for a loan with more than one person! How do I know if my credit score is good enough for a loan? Even if you don’t know the exact number your lender may see, it can still be quite helpful to look at an educational “FAKO” score. When you know where your score falls, in general, you can get an idea of what type of credit and interest rates you could be approved for. A difference of 10 or 20 points isn’t a huge deal unless you’re on the verge of bumping up or down into a new category. Scores range from bad to excellent, so you can get a sense of where you fall on this scale. Using educational scores can be especially helpful if you don’t have any idea of what your credit score might be. If you’ve been tracking your number and actively trying to increase it, then FAKO scores might be a little less valuable. Yes, you can track your progress, but you might not know exactly when you reach a specific threshold you’re aiming for. But this is virtually impossible anyway since even the scores pulled by your lender will vary depending on each report from the three separate credit bureaus. Another factor to consider is that your credit score is likely to change each time you access it because your credit usage is continually evolving. It will rise slightly as you continue to make timely payments and the length of your accounts age. It might also drop a bit if you’ve had hard inquiries on your credit report. So it’s very difficult to pinpoint your exact credit score in advance of getting a loan because it’s going to vary each time it’s pulled. How can I get my FICO score? Whenever you apply for a loan where your credit score is pulled, the lender is required to send you a copy of the credit reports and scores they used in determining your approval, rates, and terms. Oftentimes, this is your FICO score since that is what most lenders look at. But if you want to see your FICO score outside of the loan application process, you’ll either have to pay for it or go through other channels. The most straightforward (and expensive) method is to purchase your scores through MyFico.com. You have two options when using this website. The first is to sign up for monthly credit monitoring services, with plans starting at $29.95. The other is to request a one-time copy of your credit score. You pay either $19.95 for just one credit bureau score or $59.85 for all three. There’s no discount for buying in bulk, so it’s best to assess what you’re really looking for with this information. For consumers who don’t want to pay, there are a few other ways to access your FICO scores. Many credit card companies give members access to FICO’s Score Open Access, where you can look at your score on a regular basis. Check with your card company or see if it’s on this list to see if you are eligible for this perk. Other organizations offering this service include Sallie Mae’s Smart Option student loans, some auto loan financiers, many credit unions, certain banks, and even credit counselors. Ask any financial institution you’re a member of to find out how you can access your FICO score for free.